I always love recipes with honey in them! It adds such a sweet flavor to the glaze that goes perfectly with these homemade meatballs! 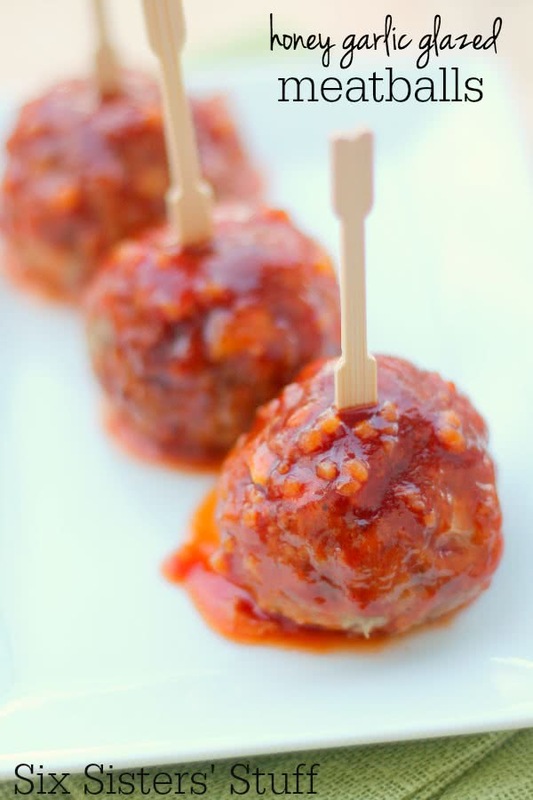 These homemade turkey meatballs and smothered in a sweet, sticky glaze! In a large mixing bowl, whisk together eggs and milk. Add bread crumbs, onion and salt. Add ground turkey and mix until well combined. Shape turkey mixture into 1-inch balls and place on a cookie sheet sprayed with nonstick cooking spray. Bake for 12-15 minutes, or until cooked through. While meatballs are cooking, combine garlic and butter in a saucepan over medium heat until garlic is tender. Whisk in ketchup, honey and soy sauce. Bring to a boil. Reduce heat; cover and simmer for 5 minutes. After meatballs are cooked, spoon sauce over meatballs and serve. The meatballs look absolutely delicious and wonderful. It's a marvelous recipe to marvel the guests. This was amazing, first time making and was easy turned out yummy. Very easy to make and came out delicious. Next time I would use less salt or none at all.